Greetings to all of you! 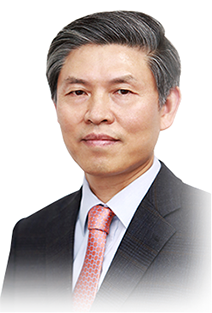 I’m Kwak Youngjin, the President of the Korea Foundation for International Culture Exchange. Hallyu, which was spiked by K-pop and K-drama, has displayed the latent energy of Korea, which is full of talent and joyful spirit, attracting the attention of people around the world. Moreover, it has made a strong impression to people worldwide as “cool” and universal contents that everyone will love. Citizens from all over the world became our close friends, sharing with them our joys and sorrows as well as dancing along with them. Meanwhile, Korea is triumphantly becoming a “wonderful country” blooming with culture, and not just a small Asian country. KOFICE has been striving to strongly support Hallyu in its plan to go global. It has been taking an initiative in promoting “good Hallyu” with citizens worldwide, not in a unilateral way, but through a variety of exchange programs such as “Feel Korea”; “Outlookie,” a Korea culture experience team consisting of foreign students; “Hallyu-based Culture ODA,” and so on. It has strengthened the global network among competent professionals in the drama industry by holding the 11th Asian Drama Conference. It has played a critical role as a global and private communicator that quickly delivers Hallyu news by running a network of foreign correspondents consisting of specialists from each sector of the cultural industry. In addition, it has contributed to the promotion of the global value of Hallyu through various research projects including “Hallyu White Paper,” “Study on the Economic Effect of Hallyu,” “Survey on the Current Status of Hallyu in Foreign Countries,” and so on. We at KOFICE will try to create an environment where bilateral exchanges with people worldwide are well promoted, and a number of hidden burdens and barriers are eliminated through such a change. Every employee of our foundation will play a key role in drawing a big picture of Hallyu, which is continuously evolving rather than just being stuck in complacence. Please show your interest with and support for our journey. Thank you.